he California Highway Patrol said shots were fired at a taxi cab near San Pablo Dam Road. Police are investigating another freeway shooting in the East Bay. The latest shooting occurred Sunday night on Interstate 80 in Richmond. The California Highway Patrol said shots were fired at a taxi cab near San Pablo Dam Road. CHP said the driver and two passengers in the cab were not hurt in the shooting. 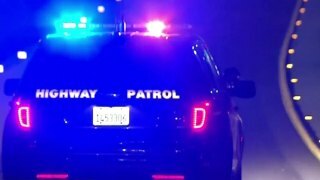 Sunday's incident is the 17th freeway shooting in Contra Costa and Alameda counties since November. The latest shooting is also the 11th on I-80. Investigators believe the cases are all gang-related and not random shootings.